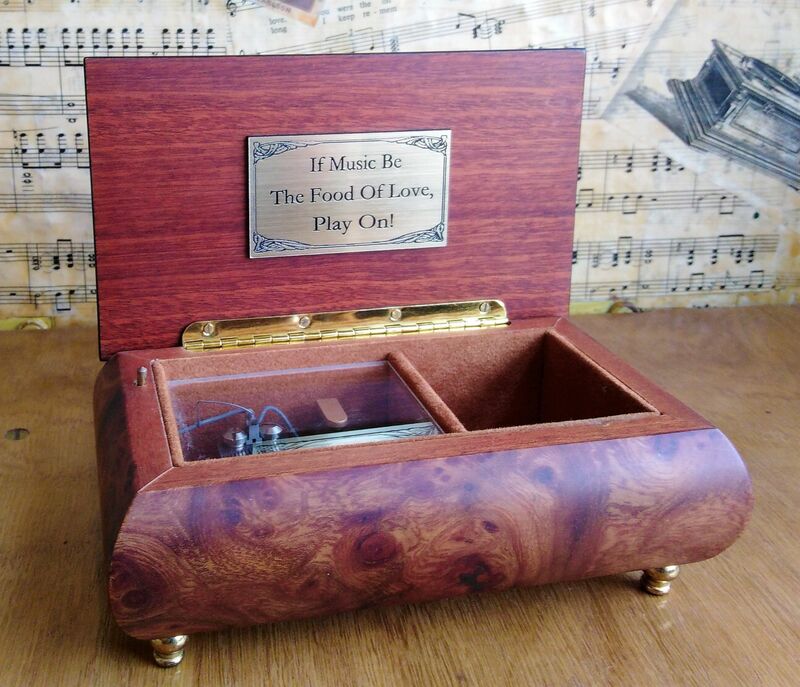 Should you wish to personalise your music box or just require an engraved plaque for whatever purpose, we offer an engraving service, with wording of your choice up to 75 characters including spaces. The plaques are self adhesive so if bought separately they are easy to apply to most flat surfaces. 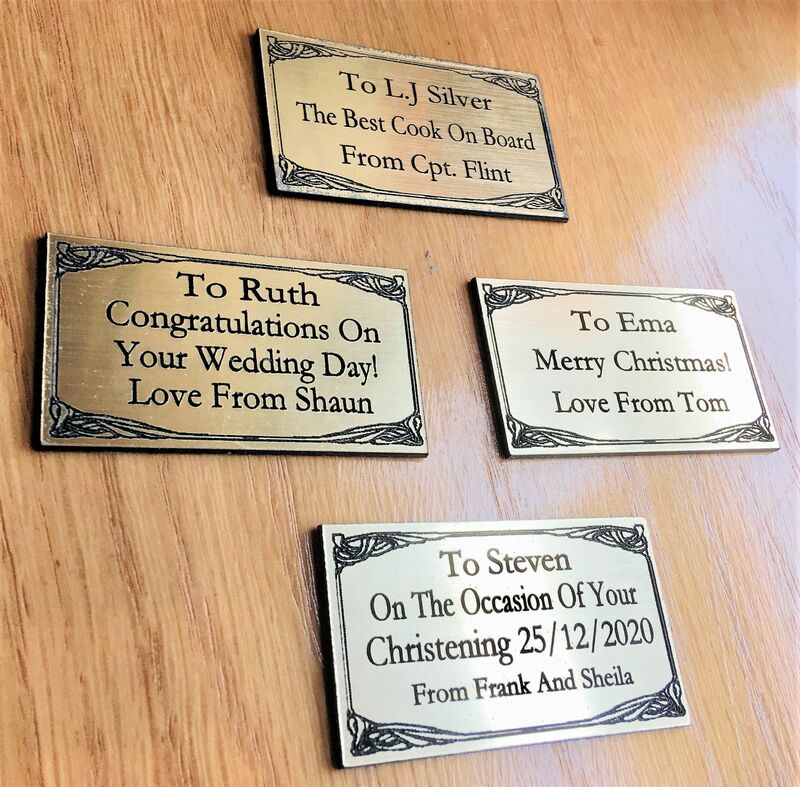 Each plaque has a brushed brassed finish and black engraved lettering for maximum clarity, and an art nouveau surround. You can supply the wording required on the plaque in the box above. Should you require any further information please telephone our shop. When entering your text please ensure you correctly space, spell, punctuate and capitalise your text as required. We will adjust for the appropriate line spacing. 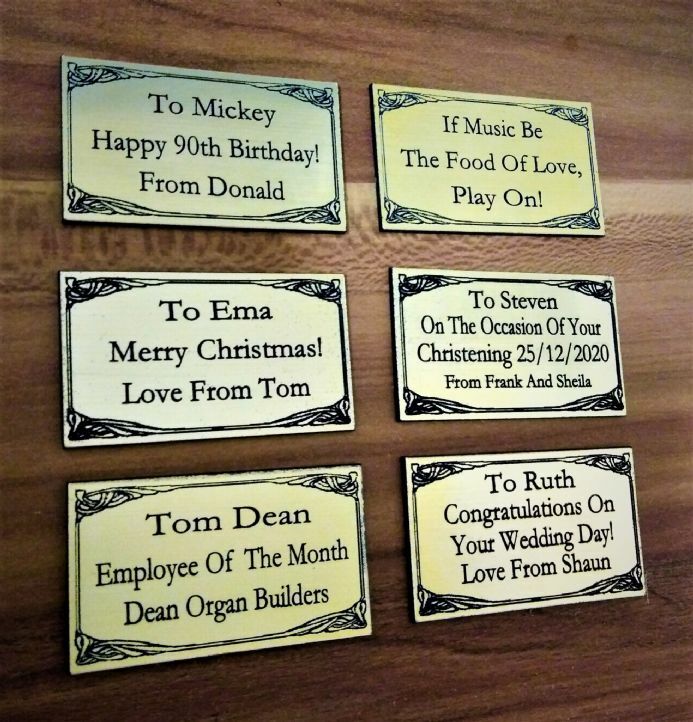 Plaque dimensions are approximately 60mm x 35mm with a thickness of approximately 1.5mm.